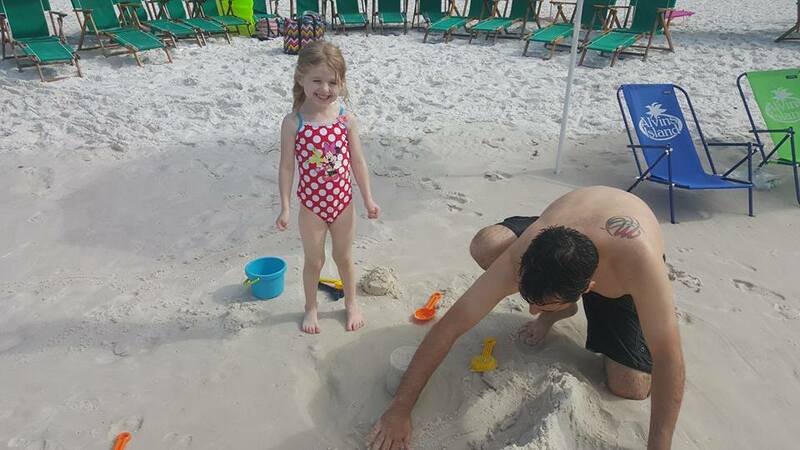 When we asked my baby daughter what she would like for her 5th birthday, she said she wanted to go to the beach. 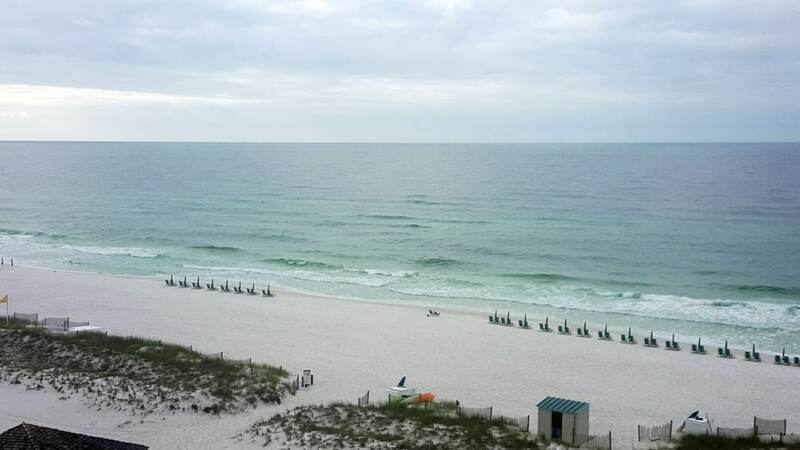 So we planned a long weekend in Destin, Florida. Destin is located in the Florida panhandle, right on the gulf. 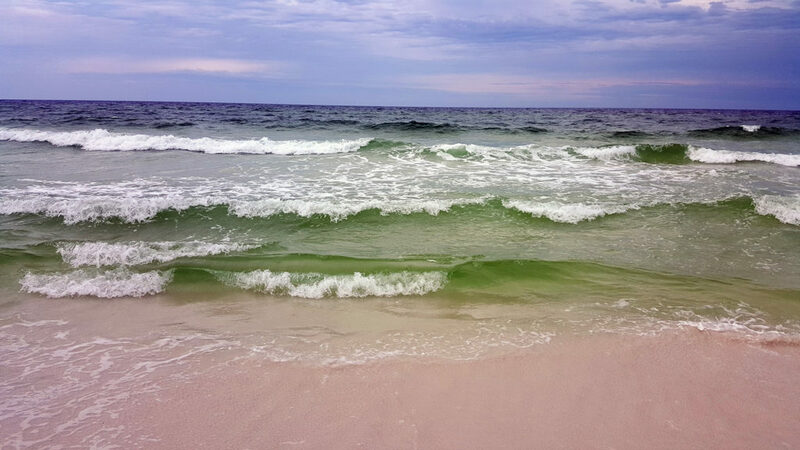 It’s also part of Florida’s emerald coast, known for beautiful beaches and emerald green water. It’s just breathtaking, don’t you think? We drove to Destin and it was an 11 hour drive from Dallas. So worth the trip! Driving was way cheaper than flying would have been. We rented this awesome condo through www.vrbo.com. 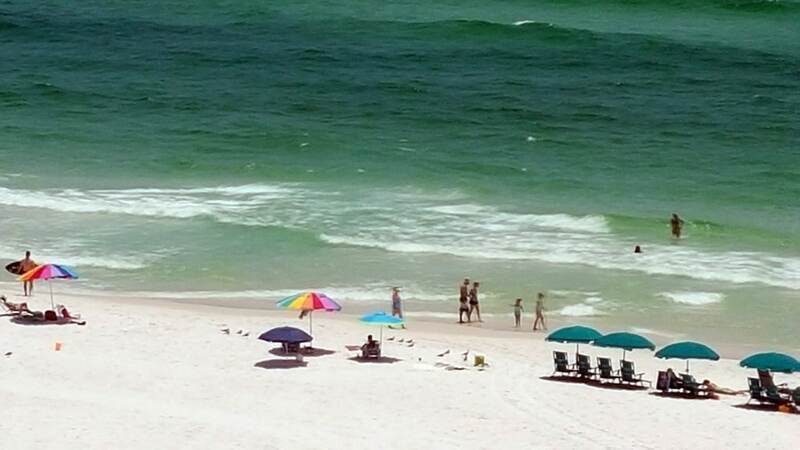 As far as beach destinations go, Destin was VERY affordable. The 2 bedroom condo came fully stocked with linens, soaps, dishes and appliances. All we needed was to bring the food. The condo we stayed at was in Pelican Beach Resort. Some of the condos are owner-operated, and others are manged by the resort. In other words, some are updated and some are not. It’s best to read all the reviews on VRBO and Trip Advisor. It was right on the beach too! I loved getting up and having coffee with this fabulous view! I loved the location of Pelican Beach Resort as well. It was right on the beach, within walking distance from many shops and restaurants, and also had Big Kahuna water park across the street! Since we had a fully stocked condo, we brought lots of food with us. We ate my homemade granola with fruit and strawberry banana muffins for breakfasts. Before going to Destin, I checked out happycow.net to see what kind of vegan options there may be. We found Mellow Mushroom served vegan pizza and they just happened to be right next to our condo! We got a veggie loaded pizza with vegan cheese, and I also ordered the balsamic bruschetta without the feta. 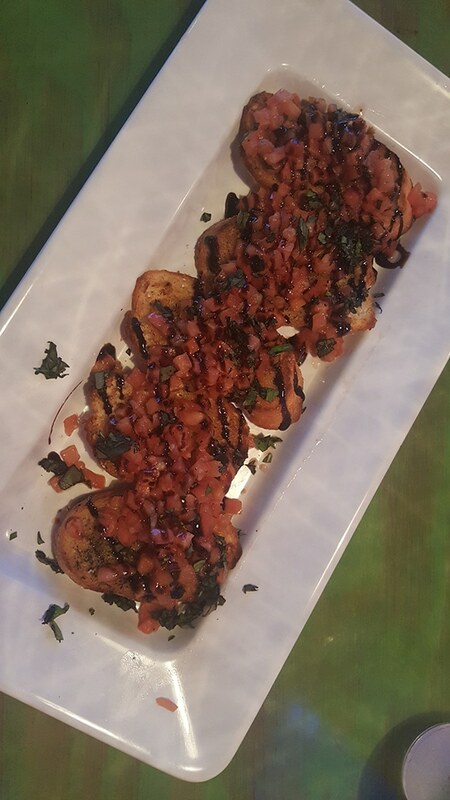 The bruschetta was out of this world good! 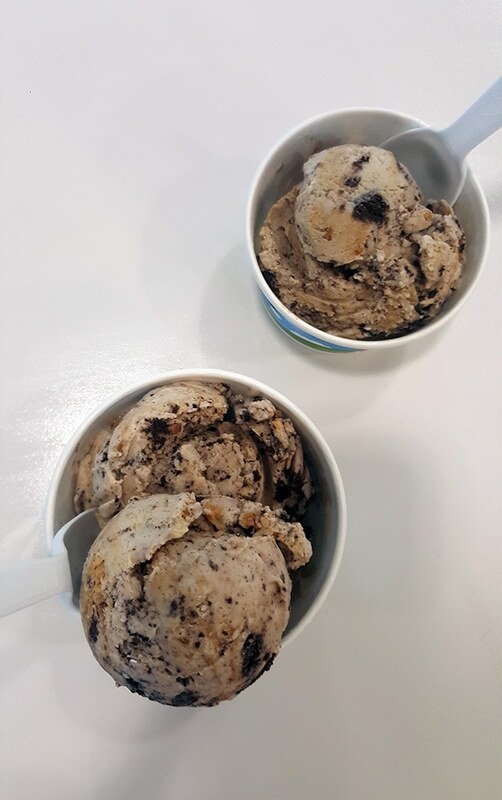 The kids wanted ice cream while we were there, so we checked out Ben and Jerry’s scoop shop for some of the vegan ice cream. The PB and Cookies is so delicious! Not only was our condo located on the beach and near all the attractions, but there was also at least 3 grocery stores within a 5 minute radius. Including a Whole Foods Market. Now lets talk about that gorgeous stretch of beach! 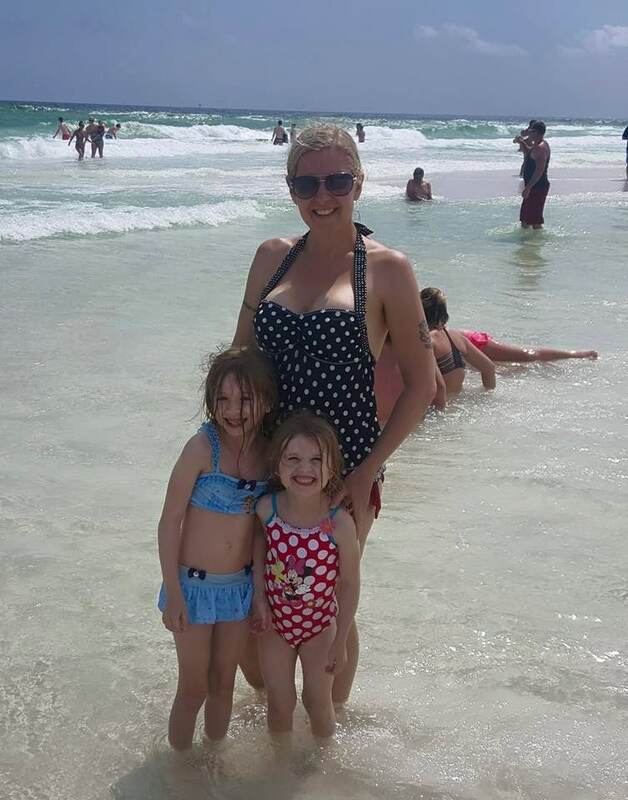 I grew up with a summer house on Cape Cod, and also took many trips to California beaches, but I have to say Destin has the most beautiful beaches. The sand is super-fine and the water is crystal clear. No seaweed in sight! Very few shells too. Even though it was only May, the water was very warm. Beach temps were about 80 degrees with a wonderful ocean breeze. The girls had a blast. 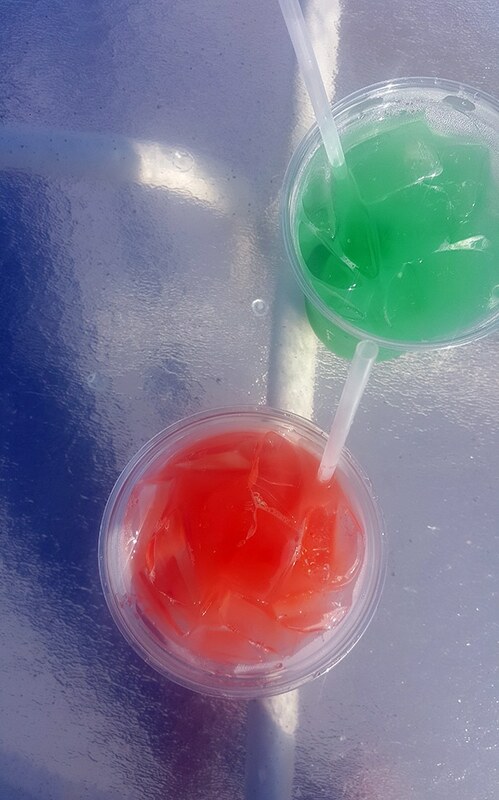 And no trip would be complete without tropical drinks. 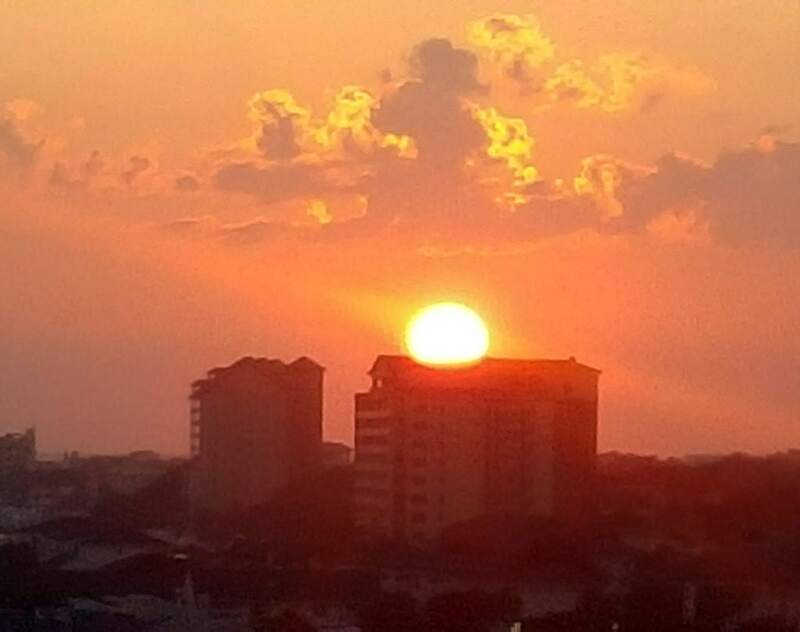 And to top that off, this gorgeous sunset from our room on the last night there. We enjoyed this trip so much, that we booked a beach house with friends in August! I highly recommend checking out Destin if you get the chance. You will not run out of fun things to do. I have never been to the Gulf, but it looks like a blast! I went to Mellow Mushroom in Nashville. I loved it. 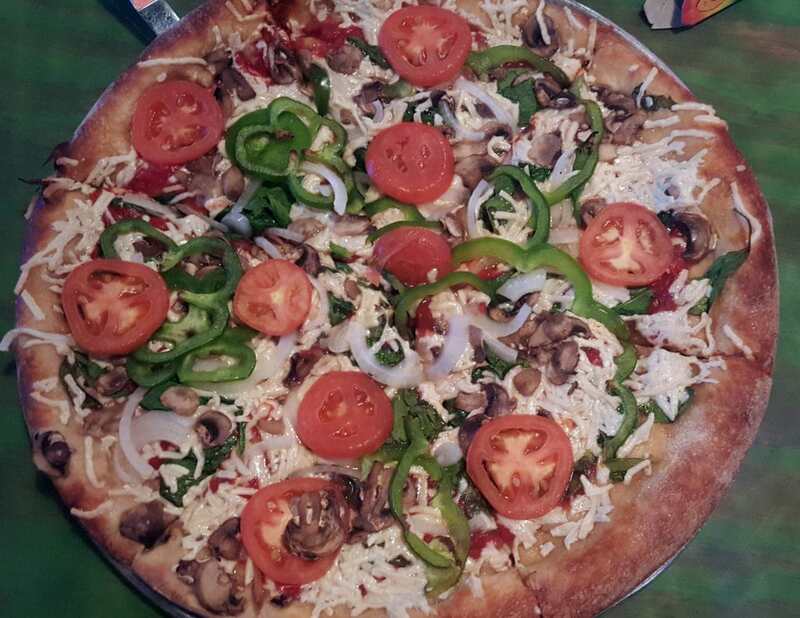 The mushroom soup is incredible and pizzas look fantastic! I will have to try the soup sometime. We have a Mellow Mushroom here in Frisco! Btw, Nashville is awesome! We don't have Mellow Mushroom up north but moving to NC next month and found it using my Happy Cow app. We did have a veggie pizza there but I don't like Daiya brand cheese. I will have to try the soup and the bruschetta was very good as well as the portobello sub vegan style. Trying the southwestern avocado toast in the morning. Can't wait as breakfast is the hardest for me since I've been a Vegan. Sounds like an awesome trip! Thanks Mona! We had a lot of fun! Destin is fast becoming the Spring Break destination for many of my friends in Grand Rapids, MI. I've heard only awesome things about it! I grew up there. Wonderful place to be. And Destin now has lots of healthy options. When I was living there is was all fried fish and the donut shop. FYI seaweed comes in June, but then starts to go away. Have fun in August. 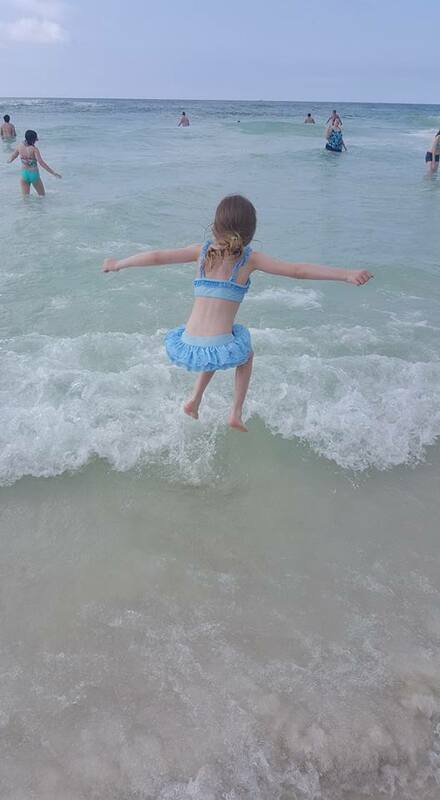 The last time I went to Destin was nearly 10 years ago, but I still remember the stunning beaches and water. It's such a great option when you want to go to the beach. Thanks for sharing! We also stayed at Pelican Beach Resort, it was really worth it although a bit crowded. Yeah, it probably depends on the time of year you go. We went there the week before Memorial Day weekend.